Discworld Emporium • View topic - I want one of these!!! The United States Postal Service has just released a commemorative stamp that will please both philatelists and astronomers alike. 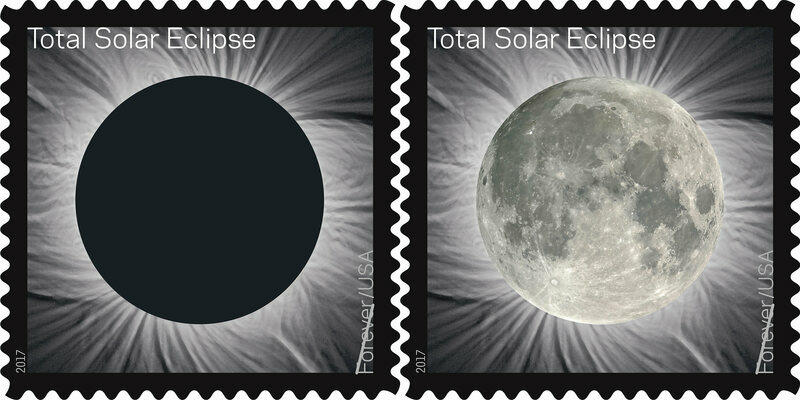 Called the Total Eclipse of the Sun, the new stamp celebrates the upcoming August 21 total solar eclipse. It is activated by heat and changes from an eclipse to a moon when touched!! As someone with a life-long love of astronomy, this is right up my telescope! Just think of the possibilities for DW stamps with this Nunc id vides, Nunc ne vides technological wizardry . . .
Can anyone in the US help me get my hands on some of these gorgeous stamps? Thanks to the QI elves for spotting this one! Re: I want one of these!!! Grace Speaker wrote: Can anyone in the US help me get my hands on some of these gorgeous stamps? Can we make it a bulk order? Frank the Elder is 92 on the 9th July and it would make a nice present. The sheet of 16 stamps is $7.84 each - anyone know how many we could order direct from the UK before incurring import tax? PM me what you want, I will buy from local PO and post to you. Saves on import tax as I will gift you. phalarope wrote: PM me what you want, I will buy from local PO and post to you. Saves on import tax as I will gift you. My stamps arrived today. Thank you very much, Carol. Only problem is that it is so warm I had to put the stamps in the fridge to see the Total Eclipse. After a minute we were back to the moon! They are gorgeous! They were all in full eclipse this morning when they first arrived, but the moon slowing started appearing as the day warmed up and you can make them go into full moon by holding your finger and thumb either side of the stamp to make them really warm. It would be great fun to have some DW stamps like these - I think Ian could have a lot of fun with Unseen University stamps that were really Nunc id vides, nunc ne vides Steve - next time you're down at the Emporium, have a word in Ian's shelllike please! Many thanks arrived just in time for Dad's birthday on Sunday. Depends how slow a shutter speed you want to get to - Ive held one of these down to 1/30" 200mm with reasonable results. Just have to learn how to breath.